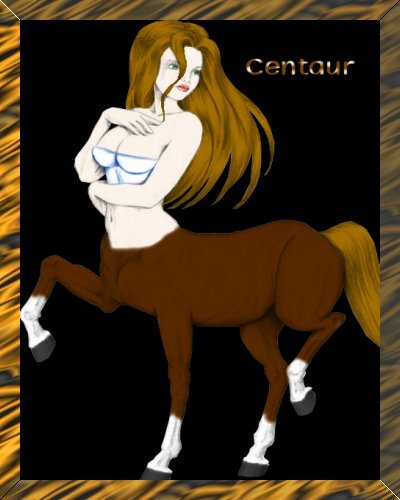 Centaurs are a combination of a humanoid and an animal. They are most like sirens in how they look. Their top half is humanoid, while the bottom half is animal like. Centaurs, besides being mythical creatures of legend, are also rather quick and can often pick up some of the abilities from the animals they’re half of.